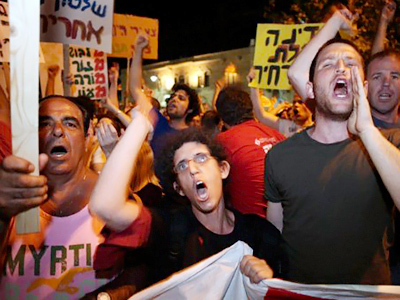 Amid unrelenting rocket barrages from Gaza, tension is running high inside the Jewish state itself, with continuing mass protests by Israelis against the government’s economic policies. 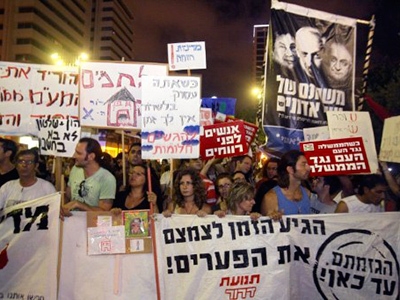 Thousands of protesters took part in “a march of silence” in Tel Aviv Saturday evening holding banners saying, "Everyone's pain; everyone's protest." Crowds have been marching, holding candles in memory of people on the both sides of this conflict who have died in the last 48 hours of violence. Some banners being carried bore the words, “We want a ceasefire,” says peace activist Adam Keller. 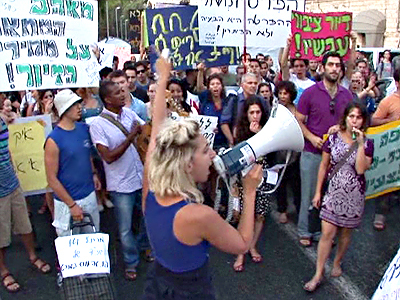 Protestors on the streets of Israel vowed to continue fighting for social justice. They are rallying for a lower cost of living, and an improvement in education and health services. 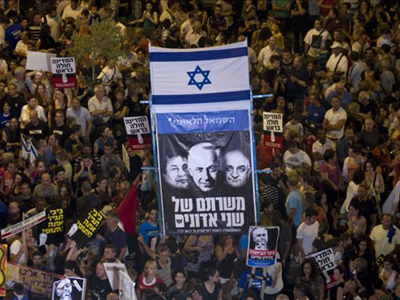 Some protesters are also calling to Netanyahu to step down. Activists say that the government is hoping that this escalation of violence will distract attention from social and economic problems at home. However, activists believe that the exact opposite is going to happen. 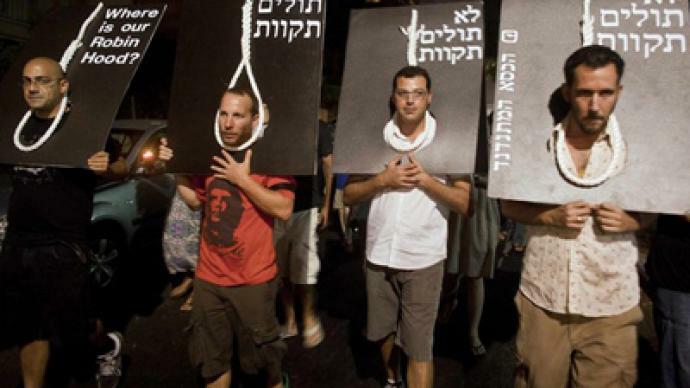 They also say that Israeli Prime Minister Benjamin Netanyahu and his government will use the latest conflict with Gaza as an excuse to get people off the streets. Most of the protesters are young, and many of them are in the reserve forces. If a war was to happen, they would be called to fight. Many Israelis struggle with high living costs, which makes having children an impossible dream for them, continues Adam Keller. 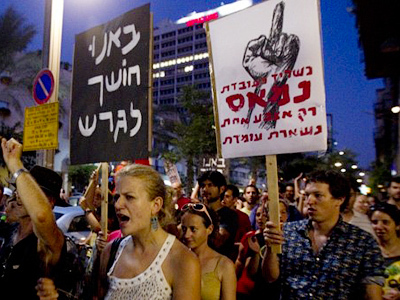 That is why “Netanyahu’s radical free-market capitalistic economy” is now coming in for sharp criticism in the country.